Fort Lauderdale, FL / ACCESSWIRE / June 2, 2014 / There's a new 'app' on the horizon and already it has some serious support. SocialVoucher.com, currently in pre-beta development, is an innovative mobile loyalty app that allows merchants to distribute coupon content directly to local consumers. The company was launched by Gerald Parker, a co-founder of Inktomi (NASD:INKT), and his associates who raised $40 million for Inktomi prior to its IPO. Over a two and one-half year period Inktomi grew to $26 billion in market capitalization and was ultimately bought by Yahoo.com. 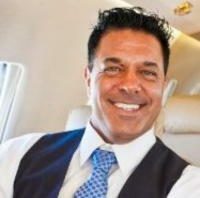 Already SocialVoucher.com has caught the keen eye of serial entrepreneur Louis D. Spagnuolo, chairman of IlluminatiTrust, a diversified monetization company with holdings spread across 37 industry verticals, who has signed on as a strategic partner. "Having the opportunity to work with SocialVoucher.com is a tremendous honor for me," said Spagnuolo, who got his start working at a technology incubator. "It's not often that I associate myself with companies I don't primarily own, but when this opportunity was presented to me by my colleague Nick Williams with NOW Marketing, I felt that it was simply too good to pass up. I learned a lot about how companies succeed and fail at the start of my career and believe I am in a unique position to bring a lot to the table for SocialVoucher.com. Additionally, when I discovered it was being backed by the great leadership of CEO Gerald Parker, I was 100 percent onboard to see this company reach its full potential." "Lou is a savvy businessman along the same lines as Andrew Carnegie," said Parker. "He's a master at business networking with a 'Shark Tank' mentality. He can help us do a lot of great things, including open doors that may have been closed to us previously. We're eager to leverage the contacts he has and grow through his sphere of influence." In addition to IlluminatiTrust.com, Spagnuolo has launched a multitude of successful companies. Currently his interests include insurance and protecting any and every asset imaginable via www.VIPRiskAdvisors.com, private aviation via www.privatejet.com and www.jetsmarter.com as well as being the Ambassador for Rolls Royce North America and representing the exclusive an peer-to-peer learning group for high-net-worth individuals involved with www.TIGER21.com. He can be reached at chairman@illuminatitrust.com.